We're embarking on our first big adventure! While Nick and I kicked off our New Year by throwing on our Christmas jammies and staying in all night, this year is going to bring us lots of adventures!!! (That’s the plan anyways). 1. Go scuba diving in the Philippines. Sharks and ship wrecks and a volcano are going to make an appearance. 2. Explore more of Taiwan- this country has so much culture and history! 6. Buy a house (if all goes according to plan). 7. Eat a full Thanksgiving dinner. 8. Celebrate Christmas with our families for the first time in two years. As you can see, this is going to be a big year of change for us!!! We would most definitely appreciate your prayers and words of encouragement as we go through the rest of this year. We hope that you have a very blessed year and that God’s love and joy is abundant in your lives!! While just being in Taiwan was an adventure in itself, we have had many other opportunities for adventure throughout the year. Some of our adventures still need to be recorded on here, but here are just a few (stay tuned for more adventures including the rest of our trip to Hualien as well as our most recent trip to China). 1. Going to Taipei for New Year’s Eve. Taipei is the place to be on New Year’s Eve. The government shoots fireworks of off Taipei 101 which is currently the 3rd tallest building in the world. The show is quite spectacular and ends with the message Happy New Year in English and Chinese flashing on the side of the building. 2. Discovering how to use the squatty potty at school. As an American the idea of a squatty potty is intimidating and scary, but this year I have conquered my fear and faced the unknown adventure that is the squatty potty. 3. Our winter trip to Tokyo, Japan. Sumos, rickshaws, temples, and zoos. Read about some of our Japan travels here. 4. Dog sitting for our friend Sharon. While our friend went away for three months we dog sat one of her dogs named Bai. This being our first time taking care of a dog, we were a little nervous but we really fell in love with him and go to visit him and Sharon on a regular basis. 5. Taking scuba lessons. Scuba diving is something we’ve wanted to do since we moved to Taiwan, and it was such a great experience. I know I’ve said this before, but the world under the water is AMAZING! Scuba diving is something we will enjoy for years to come. 6. Going to Hualien and seeing Taroko Gorge. Taiwan is a country that is rich in natural beauty and culture. We have enjoyed exploring everything Taiwan has to offer and look forward to experiencing more next year! 7. 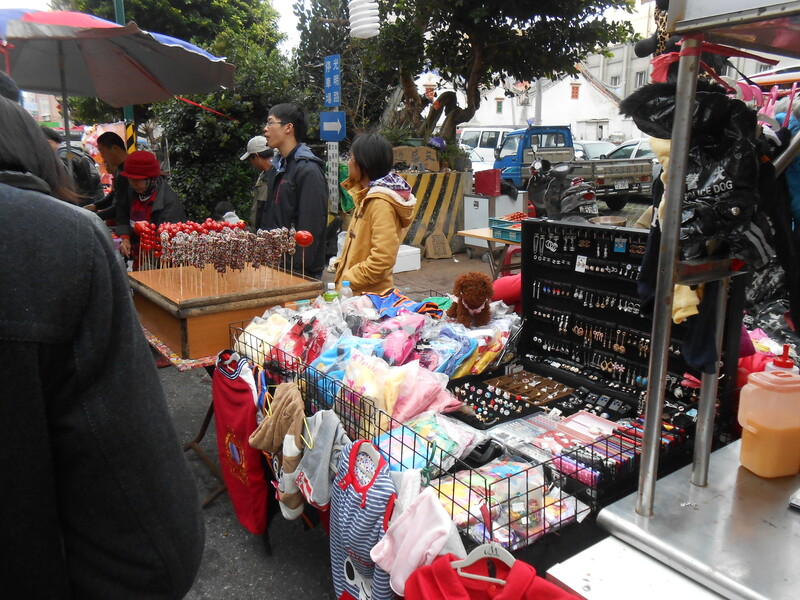 Taking on the traditional markets in Penghu. Being from America we were used to a one stop shop for all our cooking needs, but we have really fallen in love with the concept of going to the market on Saturday mornings and doing all our shopping for the week. This year has been a testament to God’s love and faithfulness He has blessed us in so many ways. We have really had to trust God to take care of us this year while we were on this adventure. It has been a great lesson to remind us to trust in Him and remember that He is in control of our lives and that we must always stay close to Him. February 1oth was Lunar New Year, or more commonly, Chinese New Year. I’m a little late posting this, but we’ve been seriously busy the past few weeks, so better late than never, right? Without further ado, here is our first Chinese New Year experience. Envision this: every store except 7-11 and McDonalds is closed, families travel miles to reunite, food is in abundance, red banners of blessing are on every door, families give red envelopes filled with money to one another, and fire crackers are exploding non-stop. It is a very festive and long holiday in many Asian countries, the festivities last for almost one week. We had the week off from work, and spent most of the time cocooned on the couch with books. We are proud to say that our New Year’s goal of reading a book every week is being fulfilled, and then some! We did take the occasional respite in order to walk the dog, feed ourselves, and go see the New Year’s festivities in town. To kick off our New Year’s celebration, we were invited to have New Year’s Eve dinner with Anly and her family. Her mother made some traditional foods, like fish, and we added some burritos to the feast! Fish is a traditional food to eat on New Year because the Chinese word for fish 魚 can also mean abundance or more precisely “more than enough”, so people like to eat the fish to represent the hopes of an abundant year. Tradition says you are not to eat the full fish to symbolize that you will have more than enough in the year to come. Our small city, normally rather boring, was bustling with New Year’s festivities. A small road in the heart of downtown was blocked off so that games and street vendors could line up to entertain and feed the crowd. We went to the street on several occasions with different friends. We played some games, ate Taiwanese snacks, and had a fun time! My favorite part about this street was that a certain street vendor was selling corn dogs (my snack of choice)!!!! In addition to the street, the cultural center in town hosted a performance group from China. We went to see the last performance, and were really impressed. The performance featured very talented dancers, jugglers, singers, amazing balancing acts, and so much more! These are the infamous red banners. 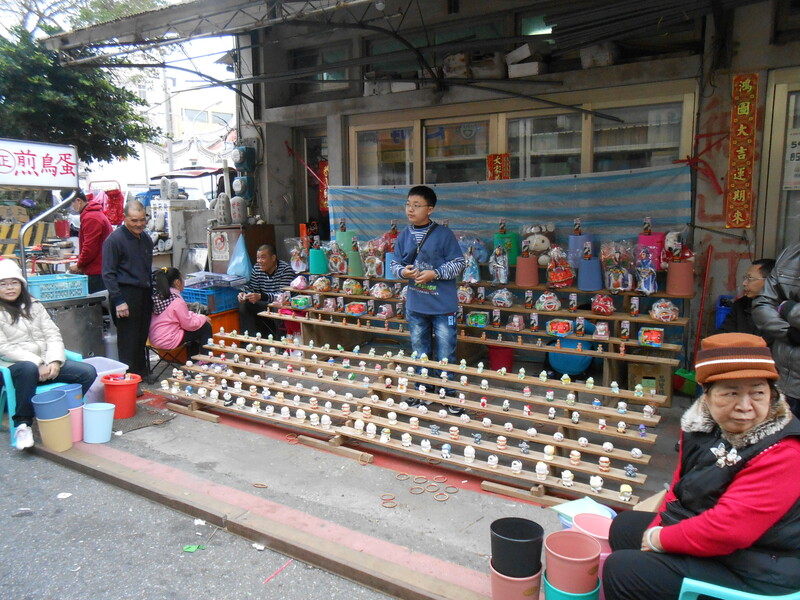 Each one contains a prayer or blessing for the year to come. These were up on every house! One of the games set up for the holidays. You used bb guns to pop balloons! As I was walking down the street, this is what I saw! It is rare that we see this many people in one place in Penghu. This is a ring toss game. In the background they are selling chocolate covered marshmallows and tomatoes as well as sugar covered tomatoes and strawberries. 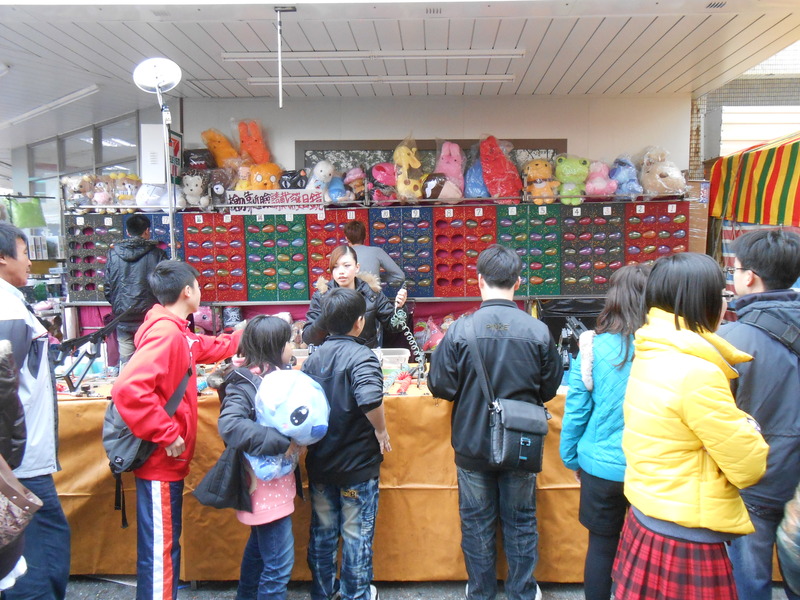 In addition to games and food, some stands also sold clothing and other knick knacks. 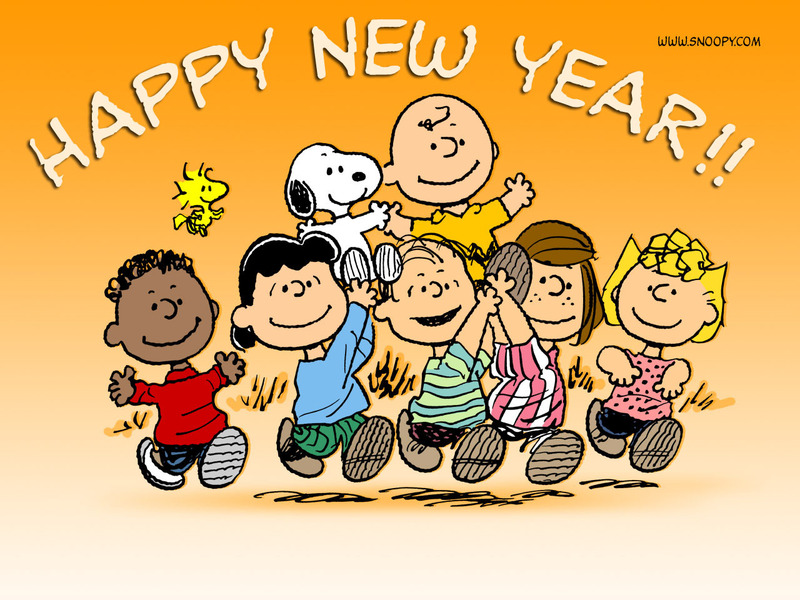 2012 was a great year full of adventures and blessings, friends and laughter, change and peace. As you know (hopefully) we moved to Taiwan in August to start a year of teaching English on the fun little island of Penghu. We had recently graduated college and wanted a chance to explore the world, do what we love, and get paid (what else could you want out of a job?) 🙂 God has been with us every step of the way! He has orchestrated everything from our job search, to getting hired, to getting placed in a wonderful school with wonderful people, and we know He will continue to guide us in 2013. When in Taiwan, there is no better place to ring in the new year than in Taipei. For the last nine years, the city has put on a wonderful fireworks show at Taipei 101, the second tallest building in the world, and our goal was to be there this year! Like all good adventures, getting there was more than half the fun. We left our house and hopped on a plane to Taipei with our friend and co-worker Anly early early early on Saturday morning (6:40 to be exact). Okay, so maybe it’s not that early, but to us, anything before 8 o’clock is too early. When we arrived in Taipei we bought tickets for a train to Sinchu where our friend was getting married later that day. Since we bought our tickets the morning of our trip, we had to stand on the hour long train ride, but it was okay because we watched a movie, read, and talked. We spent the rest of the day walking around Sinchu. We found a big bookstore (the bookstore was big, not the books :P), ate frozen yogurt (a commodity not found in Penghu), and watched some University students performing in a park-like area. When evening came, we quickly got dressed for the wedding and hurried over the the venue. The wedding was beautiful and sweet. Everything about it was personalized to fit the couple’s style and love story. We had a great time celebrating their love and eating great food (there was soo much)! The next morning we woke up and got on a train back to Taipei. Lucky for us, Anly lived in Taipei for a year, so she knew where everything was! We went all over the place! Fisherman’s Wharf, Starbucks, Lover’s Tower (a tall lookout thingy), a really old church, The National Palace Museum (which we only got halfway through, it’s huge!!! 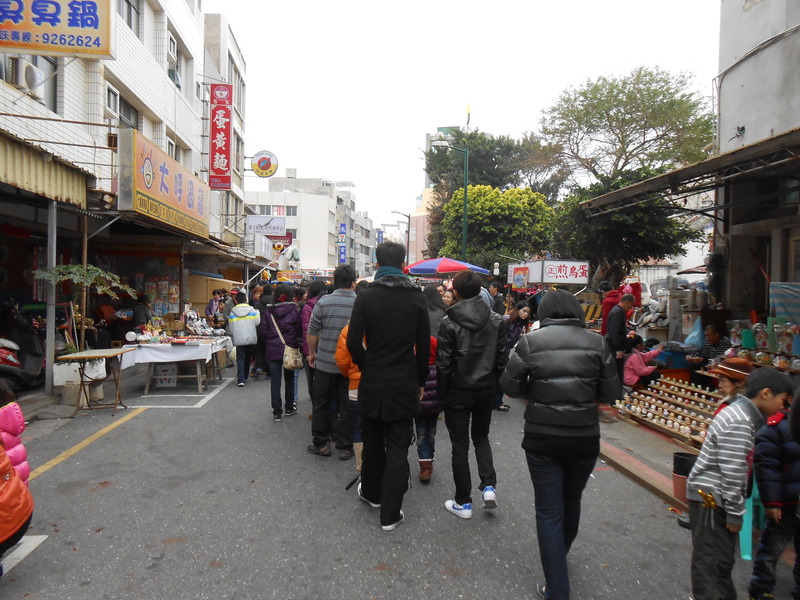 ), a really big shopping mall (we felt like small town people saying “Wow! It’s soo big!”), Toys R Us (to get gifts for Anly’s niece and nephew, but we had fun shopping for them), Sun Yet Sen memorial hall, a park with a giant Christmas tree, and lots of places in between. We, of course, ended our adventure with a viewing of the Taipei 101 fireworks on New Year’s Eve. It was 188 seconds of firework beauty! We have been thinking about what our favorite place in Taipei was, but we can’t really pinpoint a certain place. The most fun was getting to explore the city together and enjoy each other’s company. After being together for almost four full days, we didn’t want to kill each other (AMAZING)! I have to admit, when we finally got back home, we were exhausted! I think I slept a total of eleven hours that night, and it was sweet sweet bliss! Oh what fun it is to ride in a one horse open sleigh! On the train to Taipei. Nick gets a little hungry waiting in line. The giant bridge at Fisherman’s Wharf. We saw so many dogs dressed up! Frozen yogurt in the park. After the wedding, don’t we look pretty? We are MRT pros now! The old church on old street. 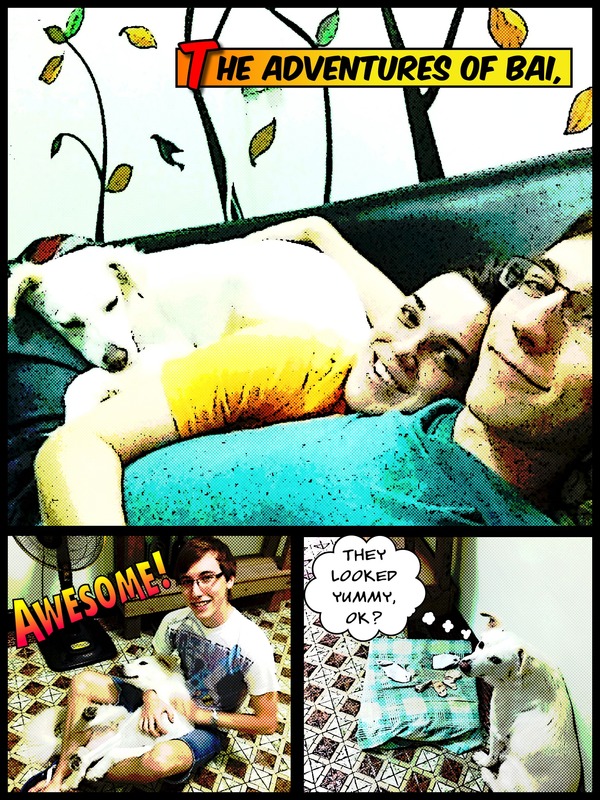 While in Taipei and during these first days of 2013, Nick and I have been reflecting on some goals for this year. I am posting them in hopes of keeping ourselves accountable. 1. Read a book every week- CRAZY I know, but we’re going to try. 2. Pray more- together and individually. 3. Learn to scuba dive. 6. 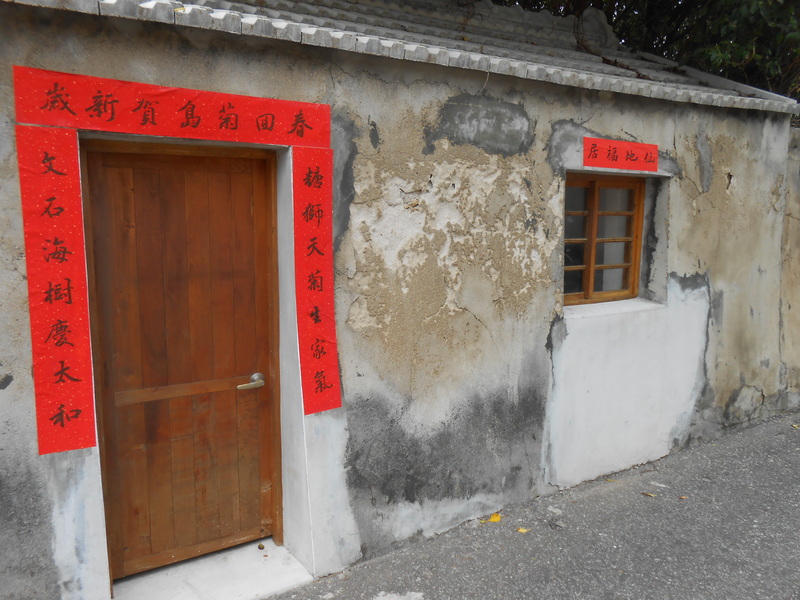 Explore 2 new counties in Taiwan. 7. Nick wants to write more. 8. Nick also wants to improve his French. 9. I want to improve my Chinese. 10. I also want to blog at least once a week. 11. Go to two new countries (we are starting with Japan).